Your students take a tour of a music house to discover how the keys and strings of a piano interact mathematically to produce musical melodies. They will examine the evolution of the keyboard, ranging from the electronic organs once played in barrooms, to the complex synthesizers used in the music industry today. 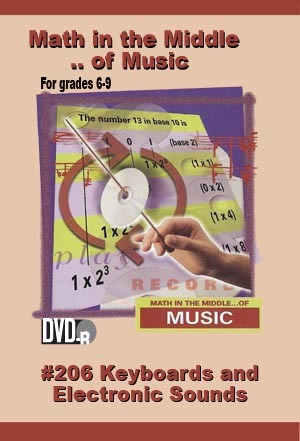 •Discover how pianos, organs, and synthesizers produce sounds. •Connect the numeric and graphic components of a synthesizer. •Identify the twelve divisions of an octave. Rights granted include: a) life of media audiovisual use, b) public performance, c) campus or building closed circuit and digital/video-on-demand transmission.